Marcellus in PA looks and feels a lot like the Marcellus in WV — so why is PA expected to create 100,000 more Marcellus jobs this year? 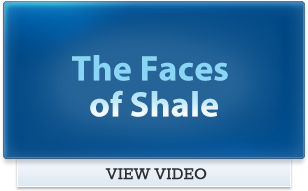 While some may believe the massive natural gas-bearing formation known as the Marcellus Shale is a phenomenon unique to Pennsylvania, the reality is that more than 6.9 million acres of the Marcellus can be found under the state of West Virginia. According to the U.S. Department of Energy (DOE), these acres hold the potential to yield as much as 150 trillion cubic feet of natural gas, an amount that, taken just by itself, could be used to meet the nation’s gas demand through 2017. In short, the long-term economic and strategic potential of the Marcellus in West Virginia is significant. But so too is the short-term impact: As documented in the same DOE report, Marcellus exploration in the Mountaineer State is expected to create 6,000 new jobs this year, all while generating $266 million in tax revenues for state and local governments. Big numbers to be sure, but ones that, in comparison to the jobs and revenue being created in Pennsylvania right now thanks to the responsible development of the Marcellus, haven’t quite been able to keep pace as of late. According to Penn State University, natural gas exploration in Pennsylvania is expected to create more than 107,000 jobs in 2010 – and send nearly $900 million back to state and local governments in the form of annual tax revenue. 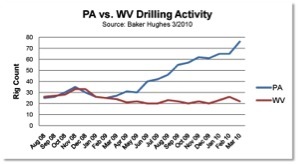 In 2005, there was another departure between drilling levels in Pennsylvania and West Virginia, this one possibly due to West Virginia increasing the severance tax. … Imposing a West Virginia style severance tax would result in substantially fewer wells drilled. 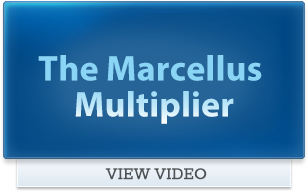 … [O]ur calculations show that under such a tax the internal rate of return on Marcellus wells would decline at least 11 percent and result in more than a 30 percent reduction in wells drilled. So, then: What really is the difference between West Virginia and Pennsylvania? The former imposes an additional severance tax on those who find, produce and deliver Marcellus-derived natural gas in the state. And before the latter considers embarking down a similar path, it may be worth taking a moment to consider the potential impact that such a decision could have on the Commonwealth. The graph below puts the significant differences between these two states in context, charting the relative activity related to the responsible development of the Marcellus as a function of the number of rigs that have been deployed recently to produce clean-burning supplies of natural gas. As you can see, the two lines converged on the same data point as recently as February 2009. Fourteen months later? Pennsylvania has 3.5 times as many rigs in operation today as can be found in West Virginia. Not sure how it’s possible for a state to collect more in annual revenue without a severance tax than with one? See above. Higher taxes in one state, especially in the hyper-competitive Marcellus market, simply lead to greater investment opportunities for another state – and far less activity to speak of in the state with a severance tax on the books. 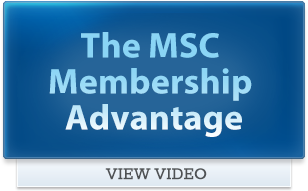 Less activity means fewer jobs and higher energy costs. Remarkably (or perhaps not), it also equates to less tax revenue for the state. Just ask our neighbors in West Virginia about that.